Okay, well that title was a bit misleading, but it’s KIND OF what I made! 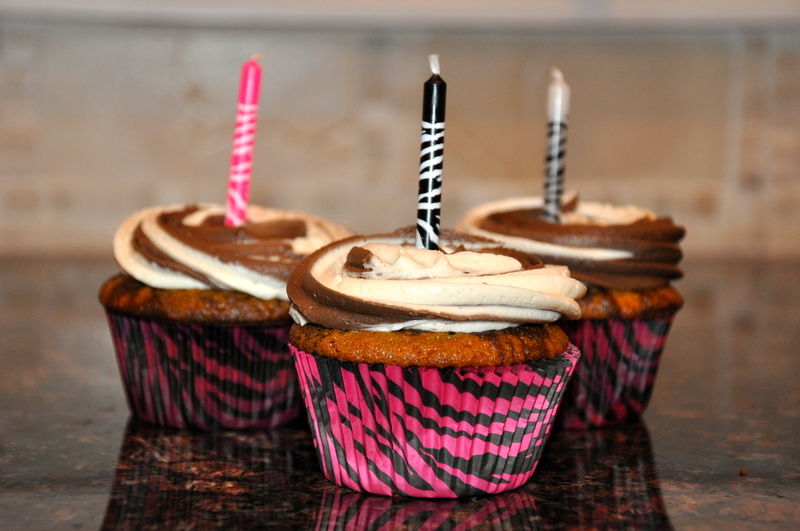 Zebra Cupcakes in Pink zebra tins! What a whirlwind of a few weeks! I just realized my last post was over a month ago, and I agree – completely unacceptable! But hear me out – I have a few excuses! First it was finals week, then mothers day, then I GRADUATED and then I FINALLY got to make these cupcakes! Back to the important things tho – GRADUATION! So after 2 years I am a Masters in Mental Health Counseling (now you understand the blog title?)! Technically I have 6 credits to finish over the summer THEN I’m a Master’s but I’m celebrating now! So these cupcakes. This past weekend was Kyle’s littlest sister’s Bat Mitzvah (shout out…Mazel tov Caity!!) and as most 13 year olds, and myself quite honestly – she has a penchant for Zebra print! 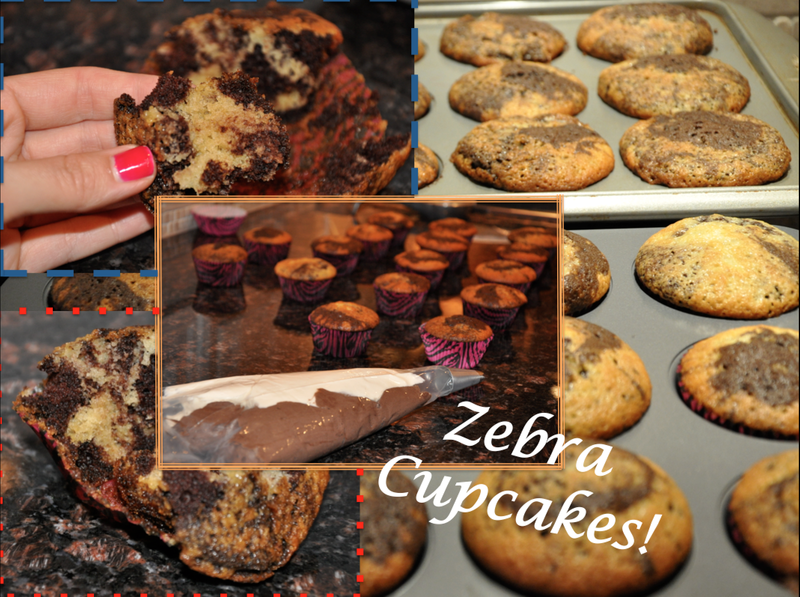 So I tried to copy those Pinterest pages and make my own zebra cupcakes! 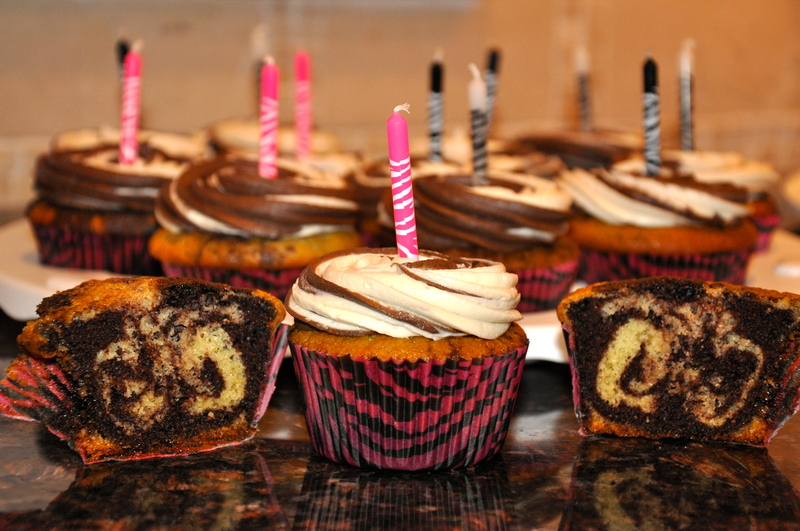 They turned out a little less like Zebra and more like swirly but it was cute. But the recipe was really fun to make! How they earn their stripes! Do we see the exciting change here? I FINALLY BOUGHT ANOTHER CUPCAKE TIN! Wahoo! I took the vanilla cupcake recipe from Magnolia’s Bakery (that I’ve made before here, here, and here). I made the vanilla and then split batter in half, adding 3 tablespoons of dark cocoa powder to half (that’s going to be the chocolate half). Because I just found a WONDERFUL deal on amazon for pastry bags, I used 2 large pastry bags to pipe in the batter. 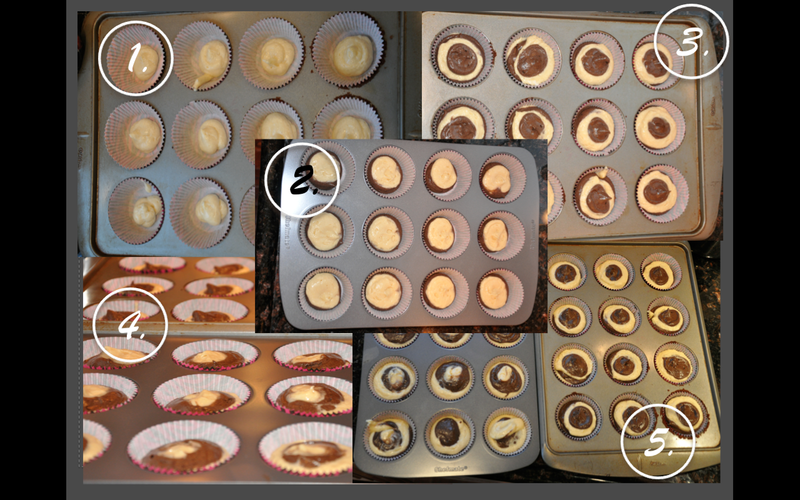 This could actually be why they didn’t turn out so Zebra-ey, but it was clean so… I was happy. Basically, vanilla-chocolate-vanilla-chocolate-vanilla-chocolate and BAKE. Getting ready to ice these bad boys! 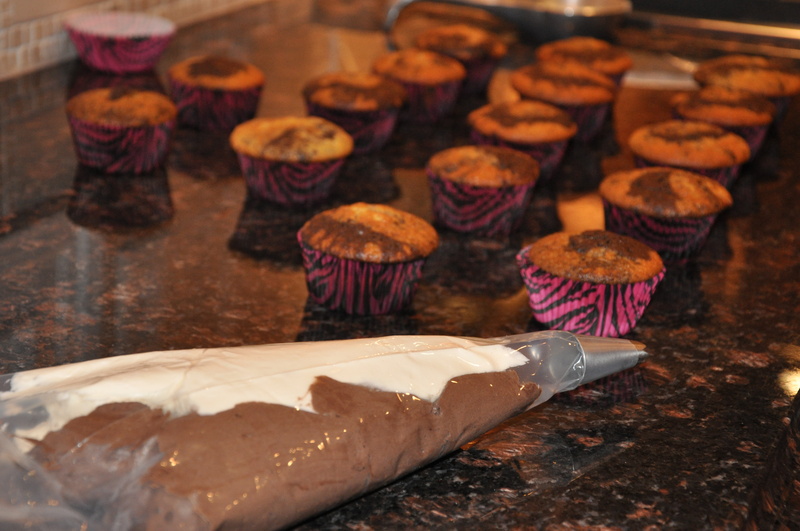 The frosting was the BEST part of these cupcakes. My new best friend and frosting guru, Karylnn @ The Kitchen Magpie has perfected the art of buttercream. That’s not an overstatement- this is hands down the my favorite buttercream icing. Not too sweet, not too thick, just perfectly creamy and fantastically delicious! I made the chocolate buttercream and the regular buttercream and swirled them together to continue on the black&white theme. I definitely want to try this recipe again with a slightly thinner batter, but I still think it turned out cute! 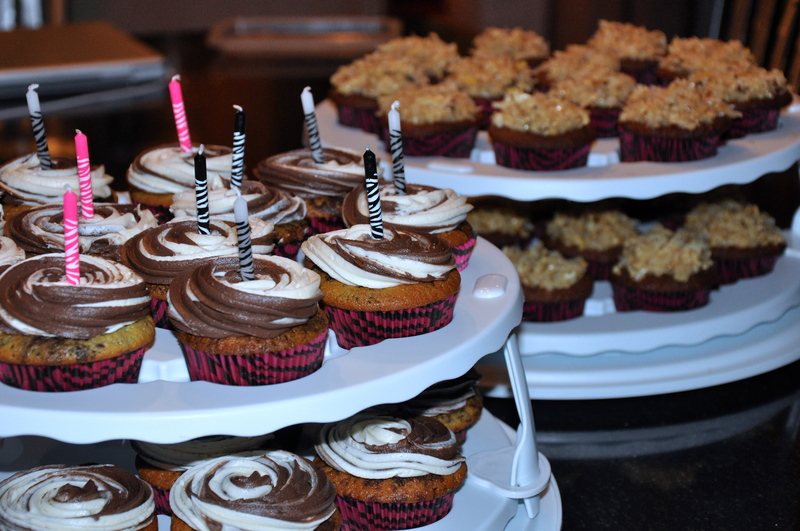 Naturally, I took the opportunity to make two types of cupcakes, so check out my German Chocolate Cupcakes after the jump!